Trade-in your old Dionex or Thermo Dionex instrument and receive a discount on a NEW Metrohm IC system! Enjoy faster startup time and easier detection with components that are automatically recognized and optimized by the system software. And a smart, flexible design allows you to easily integrate sample preparation without compromising your workspace. Metrohm guarantees optimal solutions in ion chromatography based on innovative and creative solutions throughout the last twenty years – with high-tech, many years of application know-how, Swiss quality standards and a reasonable pricing policy, both in acquisition and running costs. Faster Answers. Better Measurements. Easier Results. 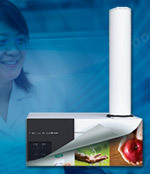 Combining outstanding performance, robustness, and reliability, the Agilent 6545 Q-TOF LC/MS makes it easy for everyone to get great results for small molecule analysis in food safety, forensics/toxicology, environmental screening, pharmaceutical metabolite ID, and metabolomics. Optimized software, efficient MassHunter data mining tools, and the market's first accurate mass Personal Compound Database & Libraries (PCDLs) help you turn data into answers. The new Swarm Autotune uses Particle Swarm Optimization (PSO) to optimize up to 21 parameters simultaneously. The press of a button is all it takes for anyone to get the best possible small-molecule analysis performance. Buy an eligible Agilent instrument and get a one-time discount applied to Agilent sample prep, supplies, and columns for any instrument in your lab – not just the one you purchased. Use the discount within 90 days of shipment of your instrument. 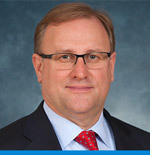 WELCOME, MIKE MCMULLEN, AGILENT'S NEW CEO! At Agilent’s annual meeting of shareholders, 30-year company veteran Mike McMullen was formally introduced as the company’s new chief executive officer. Mike McMullen became the third CEO in Agilent Technologies’ history on March 18, 2015, replacing William (Bill) Sullivan. McMullen brings strong leadership skills to the role, with more than 30 years of industry experience and senior management experience at Agilent. 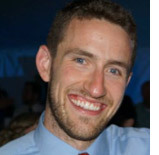 Congratulations, Chad Atkins from the University of British Columbia for winning Metrohm’s $10,000 ‎YoungChemist Award! Chad uses Raman spectroscopy to assess the degradation of stored red blood cells. By measuring samples through the storage bag the possibility of contamination is reduced. Confirming the viability of stored red blood cells prior to transfusion leads to a more successful patient outcome. Read Chad's abstract here. Are you studying chemistry? Metrohm is already accepting abstracts for our 2016 Young Chemist Award! Agilent has launched two new products designed to improve the speed and accuracy of clinical cancer research. 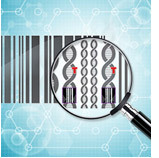 Both products enable researchers to rapidly and accurately identify diseases-associated variants in tumor samples. This information can be vital to research in cancer treatments.